"There is a lot of transparency that is possible under the law. ... I hope they don’t get to that"
In this June 19, 2018, file photo, former FBI Director James Comey talks backstage before a panel discussion about his book "A Higher Loyalty" in Berlin, Germany. Former FBI Director James Comey on Friday said that he did not know if Democrats could obtain an unredacted copy of the Mueller report with a subpoena if the Department of Justice declined to release it. “I’m sure they can subpoena. They definitely can issue subpoenas for anything they want to the Department of Justice. Whether the department will compel, will abide an order to compel, if they resist that, I don’t know where that ends up,” he said. But Comey said he hoped that a subpoena would not be necessary. “There is a lot of transparency that is possible under the law. And so, that’s my answer. I’m not sure about the can. I hope they don’t get to that,” he said. Former FBI Director James Comey slams Republicans from CNBC. House Democrats, including the chairs of the powerful Intelligence and Judiciary committees, have said they will subpoena the Department of Justice if the report is not made public. Comey, whose ouster by President Donald Trump in 2017 precipitated the appointment of special counsel Robert Mueller, was responding to a question from a student during a rare hour-long question-and-answer session at his alma mater William & Mary. The talk came nearly a year after his CNN town hall here. The college last year tapped the erstwhile government official to teach a class on ethical leadership. On Friday, he said he hoped the little-advertised forum, which he jokingly dubbed a “secret lecture series,” would open up the lessons of that class to a wider audience. He expanded on the arguments that he made in an article published earlier this month in The Washington Post. He wrote in the article that Republicans were incorrect in saying that transparency about Mueller’s conclusions was impossible. 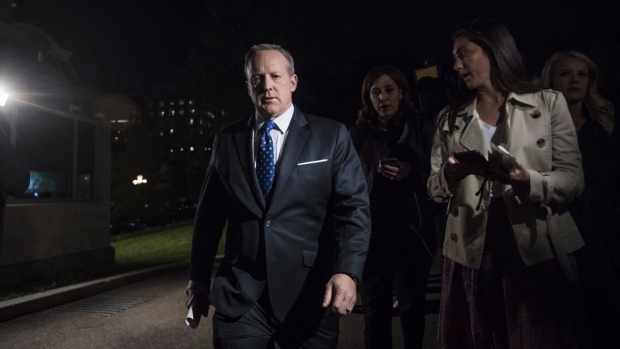 His comments came during a moment of particularly intense public interest in the special counsel, who is investigating links between the Trump campaign and Russia. Earlier in the day, Trump said “there should be no” report. On Thursday, the House of Representatives unanimously passed a symbolic resolution calling for the document’s public release. Much of the focus has been on a letter Comey sent to Congress shortly before Election Day saying that he had uncovered new information that could be significant to the investigation into Democrat Hillary Clinton’s handling of classified material. Clinton’s lead in the polls sank decisively after Comey’s announcement, and some have blamed him for her defeat. But Comey on Friday offered a stern defense of his decisions at the time, including the decision to not disclose a concurrent investigation into Russian meddling that began that summer. Failing to tell Congress about the new information about Clinton “would have caused catastrophic damage to the administration of justice at least in our lives, probably forever,” Comey said. The investigation into Russian interference did not meet that threshold, he said. At the time, he said the FBI “had no basis to believe” that Trump had any association with the Russian efforts. “I hope some very smart political scientist proves that I was totally irrelevant,” Comey said. Trump fired Comey in May 2017, and has since provided a variety of reasons, including Comey’s handling of the Clinton email probe and his insistence on pursuing an investigation into Russian interference. 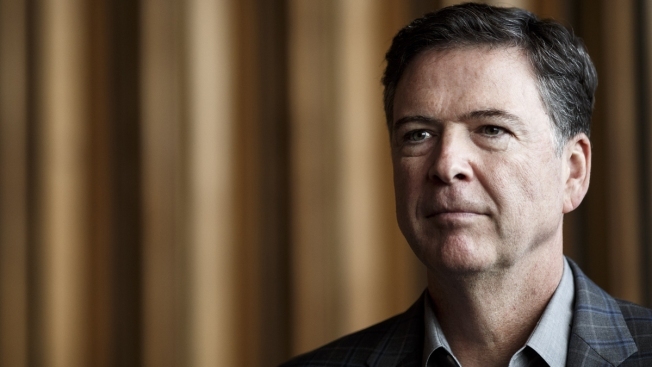 Comey published a memoir in April 2018, “A Higher Loyalty,” which painted a sharply critical image of the president. He has since said that he believes Trump would likely be charged with a crime if he were not the president. The president, meanwhile, has accused Comey of leaking to the media and reportedly told the White House counsel last spring that he wanted the DOJ to prosecute him. On Friday, Comey said that despite the strain he saw on American institutions, he was nonetheless optimistic about the future, likening Trump to a forest fire that does damage but readies soil for new growth. Using a white board, Comey charted what he described as the chaotic up-and-down cycle of American progress. He said that he felt that, already, the U.S. was on an upturn.